Steve's experience working with attorneys, lenders, appraisers and inspectors helps alleviate his clients' stress with buying or selling a home. For sellers concerned that their property valuation is below their mortgage amount, Steve has assisted clients throughout the short sale process. Prior to starting his real estate career, Steve learned the art of sales, marketing and analysis working as a management consultant, business development manager and CFO over 15 years working for companies including Deloitte and United Airlines in Chicago. Steve has an MBA in Marketing from the Kellogg School of Management and is a CPA. He learned real estate first as an investor and licensed general contractor. Raised in Wilmette, Steve is a true Chicago native. He is a father of twins and his family resides in the Roscoe Village / North Center area. 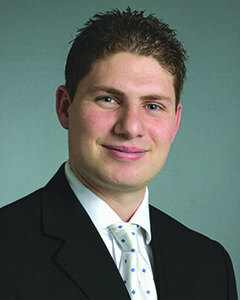 Steve attended New Trier High School and is a graduate of both the University of Illinois and Northwestern University. Steve is an avid Blackhawks fan and plays in a men's ice hockey league on the Chicago Hoseheads. He enjoys guitar, musicals, improv at Second City and volunteers and helps raise money for several organizations including Juvenile Diabetes Research Fund (JDRF) and Cancer Wellness Center. Darren Seefeldt pursued his passion for real estate in 2014 when he joined @properties following a career in construction and facilities management as well as nine years of service in the Illinois Army National Guard. Darren's attention to detail, experience, hard work, and commitment to personal service quickly set him apart, earning him the 2014 Community Association of Realtors Rookie of the Year. Darren is also a certified Military Relocation Professional and an expert in the VA loan and condo approval process. In addition to joining @properties, Chicago's largest independent brokerage, Darren also belongs to the Brian Grossman Group, one of Chicago's consistently top-producing teams. The unsurpassed technology, marketing, and resources provided by @properties along with the experience and proven strategies of the Grossman Group made this a clear choice for him, which greatly benefits his clients. Beyond Darren's commitment and experience in real estate sales, he is also a licensed Community Association Manager and owner of Good Steward Building Management. This experience in both real estate sales and HOA management brings added value to clients selling or buying condos and townhomes in Chicago. His experience in market analysis, sales, negation, condo law, and construction, coupled with going above and beyond just listing and showing properties, gives his clients a distinct advantage and consistently positive experience no matter where they are in the home ownership process. Chicago Association of REALTORS Top Producer Irene Haddad is a licensed Real Estate Broker with Chicago’s #1 Real Estate Brokerage Firm @properties. Within her first year in the industry, she received the acclaimed Rookie of the Year award. She is part of the Brian Grossman Group, which is ranked at the top 1% of all agents in the city with more than $350 million in Residential Sales. Irene graduated on the National Dean's List from De Paul University with a Pre-Law Bachelor of Science degree. She attended Law School prior to finding her passion in Real Estate. Her knowledge of the Real Estate market coupled with her legal background only enhances her ability to negotiate the best strategy for her clients. After all, Real Estate transactions involve one of the largest financial investments most people make in their lifetime. 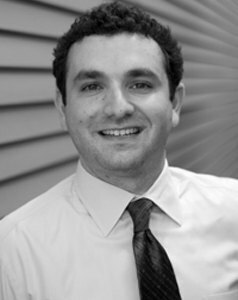 Axel Cohen joined @properties after working at a boutique real estate firm, where he quickly became one of the firms top producing brokers. 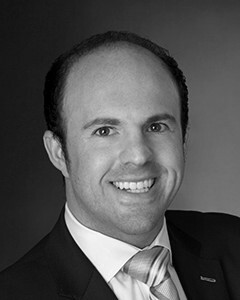 With Axel's extensive knowledge of both the rental and sales market, he is ready to carefully assist his clients with all of their real estate needs. He has been helping his clients rent, buy, and sell since he first got his start in real estate in 2012. Axel is a member of the Brian Grossman Group, one of Chicago's top producing teams, where they've experienced prolonged success. Over the past few years, the team exceeded $100 Million in sales volume and by year's end the team will have surpassed $400 Million in total residential sales volume. The Brian Grossman group has has ranked in the top 1% of all Chicagoland agents. Being born and raised just 20 miles north of Chicago, Axel took every chance he could to travel south to the city to take in it's sky line and architecture. He uses his enthusiasm and knowledge of Chicago, and it's diverse neighborhoods and submarkets, to deliver an exceptional customer service experience. Gaining trust and confidence from his clients, Axel has been able to take his clients, as first and second year renters, through the purchasing process, and then onto the sale of their first home, all the while delivering a high level of customer service. To that end, Axel's clients continuously come back to him as their trusted real estate professional. After graduating from the University of Kansas, he moved back to the city he loves and started his real estate career shortly after. Attracted to the views and amenities, Axel first moved into a high-end rental building in Old Town, there after it was a mid-rise condo building in Lincoln Park and then a walk up in Bucktown. Using his exposure first hand to the different types of inventory and neighborhoods that Chicago has to offer, Axel delivers unique insight to his clients and caters to their every need. When Axel isn't devoting his time to real estate and his clients, he can either be found glued to his television watching his alma-mater's mens basketball team, at a neighborhood park with his dog Bear, or out and about with his new son Theo and his wife Allie. Josh Levey's passion for helping people fuels his drive to exceed expectations and make his clients' real estate dreams a reality. "Helping people find a home is probably one of the best things you can do for someone. I am client focused and results driven; I will go out of my way to get something done for my clients"
In addition to conquering the real estate world, Josh also works in advertising. Throughout his time in the advertising industry, Josh continues to refine his unmatched social media, sales, communication and advertising skills. These are essential when helping clients achieve a significant life goal, such as buying or selling a home. Now, as a member of @properties, Josh has instant access to its industry-leading reach, global resources and unbeatable online tools. Josh has everything he needs to maximize the exposure of his clients' homes, ensuring that the listing will be seen by thousands of buyers looking for a new home; and he also has the resources backing him to help clients with one of the most important decisions of their lives. The thing that always sets Josh apart from other agents is that he approaches real estate opportunities with a business mindset; for example, putting his clients' needs before his own personal interests. 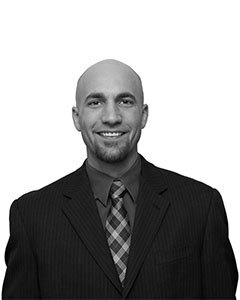 Additionally, Josh strives to deliver the highest level of customer service to each and every one of his clients. His attention to detail, hardworking mindset combined with his professional knowledge in digital media and marketing make him the perfect broker to get the job done right and in a timely manner. Although Josh was born and raised in Cincinnati, Ohio, Chicago has been his home for seven years and counting. 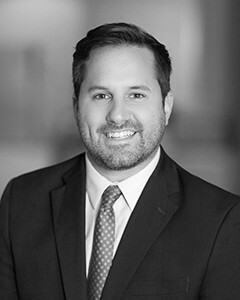 Over these past 7 years, Josh has familiarized himself with many of Chicago's greatest neighborhoods, making him an expert resource for clients searching for the perfect neighborhood to lay down some roots. 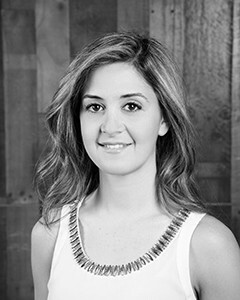 Manar Beiruty is a dynamic broker with @Properties. 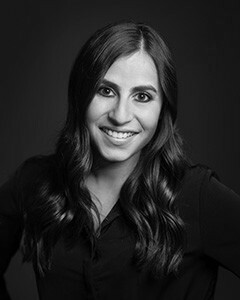 As a member of the Brian Grossman Group, one of Chicago's highest grossing teams, she is the go-to broker for a wide range of areas, including the city and the southwest suburbs. 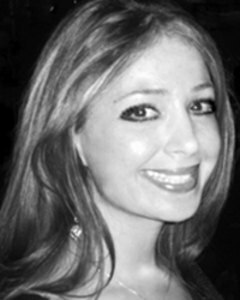 Whether it's a client looking for a downtown apartment, a family home in the suburbs or anything in between, Manar is uniquely positioned to assist her clients in all aspects of the buying or selling process. Clients appreciate her attention to detail, and her facilitating of their every need. Manar goes the extra mile by personally investing her time and energy into every client relationship. That means listening to her client's wants and needs, and helping them locate the ideal home based on those preferred lifestyle choices. Real estate has always been a fixture in Manar's life; her father is a developer, who taught his daughter all the nuances of his projects, and the sale and purchase of homes. Today, Manar and her husband invest in property throughout the city, rehabbing and selling homes—a skillset she brings to the table for her clients. She knows how stressful the buying and selling process can be: by leveraging a long list of real estate professionals (i.e. handymen, plumbers, etc. ), Manar is the perfect guide to make the process as smooth as possible. Manar and her husband Elias live in the South Loop with their two children, Leyah and Issa. She loves following fashion and design trends, and incorporates unique styles into both home interiors and her personal expression. This passion allows her to provide all-inclusive assistance to clients staging their homes or considering design changes. Brooke Lindholm is a trusted real estate advisor to all her clients. 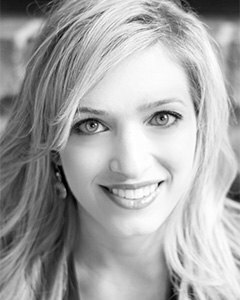 As an @Properties broker with the Brian Grossman Group, which is ranked at the top 1% of all groups in the city with more than $400 million in residential sales, Brooke is a detail-oriented guide, taking clients throughout the entire process in a step-by-step manner, and, in turn, alleviating stress that can come from purchasing or selling a home. Brooke understands the delicate balance of "home" as a financial investment as well as an emotional investment. Having invested in property herself throughout the city—including overseeing her own renovations and rehabs—Brooke has a deep understanding of her clients wants, needs, desires and even fears. To that end, she strives to create a positive experience for every client by bringing an honest, sincere and can-do attitude to the transaction. Clients appreciate her long list of relationships with professionals in real estate and beyond. Need a lender? She's got it. Need a handyman? She has a guy. Need a babysitter? She knows a good one. In that way, Brooke is a one stop shop when buying or selling a home. For expert local market knowledge and unparalleled real estate service, call Brooke today! Growing up in the small rural town of Rochester, Indiana, Kavan and his family would frequently travel to the city of Chicago for sporting events, small vacations, and all of the wonderful adventure that awaited in the big city. It was those childhood memories that led him to Chicago in the summer of 2010 after graduating from Miami (OH). 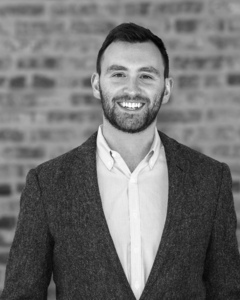 During his eight year sales career in the logistics industry, Kavan's longtime desire to be involved in the Chicago real estate market started to take hold. He purchased his first investment property just south of Wrigley field in April of 2015 and has kept his finger on the pulse of the market ever since. In 2017 he aquired his brokers license and chose to turn his passion into his full time career. Outside of real estate Kavan enjoys traveling, trying new restaurants, basketball, spending time with family and friends, and is an avid golfer. His seemingly endless energy and overall joy that he brings to his everyday life are infectious. While his clients unquestionably love both of those qualities, they cherish his knowledge for the industry, attention to detail, and unwavering commitment to ensuring all of their needs are taken care of with the utmost integrity. Darcy Blustein is a residential real estate broker with @properties. She is a member of the Brian Grossman Group, which is ranked at the top 1% of all Chicagoland agents with more than $350 million in Residential Sales. Darcy has 9 years of experience in advertising and media. From planning and managing large digital and TV campaigns, to selling print advertisements in newspapers and magazines, Darcy knows how to negotiate the ideal outcome for her clients. 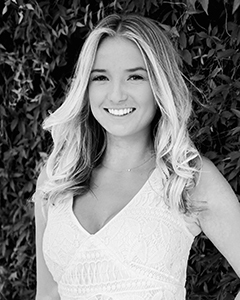 Whether you're looking to buy, sell or rent, Darcy's knowledge of the city, attention to detail and patience will allow her to be a trusted advisor, and help you navigate a process that is complex and often emotional. Darcy grew up in the North Suburbs of Chicago. She graduated from the University of Kansas with a degree in Journalism. After college she spent a few years in Washington DC, and eventually found her way back to Chicago. She currently lives in River North. In her free time she enjoys going on runs through the city and on the lakefront path, exploring new restaurants throughout the many neighborhoods in Chicago and traveling the world.